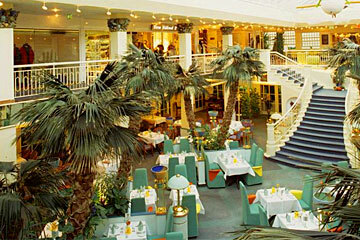 Located at the sea front, close to the famous pier of Heringsdorf, the Maritim hotel invites guests to stay in comfortable atrium style building with glass faĂ§ade and plenty of palm trees and exotic plants inside. In summer guests can sunbathe on the beach that is only meters away or swim in the outdoor swimming pool with a large relaxation area with a sea view. For your wellbeing there is an exclusive wellness center with therapeutic treatments, saltwater swimming pool, saunas, whirlpool, steam bath, solarium and fitness center. 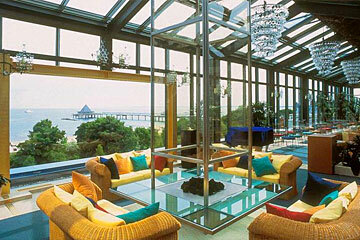 Guests will find relaxation and rest in elegant conservatories with sea view. 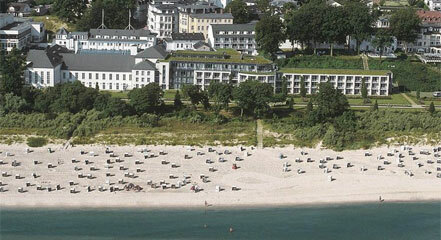 From the hotel there is a direct access to the Heringsdorf casino. 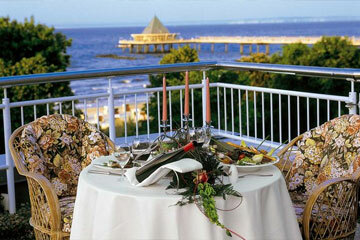 Palmengarten restaurant offers guests rich breakfast buffet, a la carte menu and half board. In the Don Hering bistro guests will savor local speciaities, delicious coffee, home made cakes and ice cream. In summer you can taste Mediterranean snacks, ice cream and cakes in the summer garden terrace. The hotelâ€™s winter garden is the ideal place to relax with a good book enjoying a fireplace and delicious coffee, home made cakes, and wellness drinks. The piano bar with live music invites guests to spend their leisure time enjoying German beer, cocktails, and good wines. 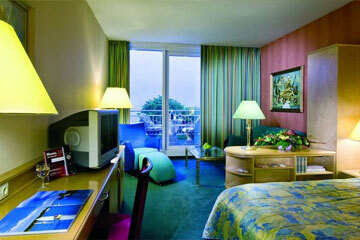 The Maritim Hotel features comfortable rooms including 2 rooms for the disabled and 95 non smoking rooms. Comfort rooms, standard and superior rooms plus have a balcony. Superior rooms plus also have air conditioning. There are vital rooms specially suitable for allergy suffering guests offering cork flooring and anti allergic bedding. Junior and senior suites also have a living area, tea and coffee making facilities. There are spacious studios with a balcony, separate living area and marble bathroom. 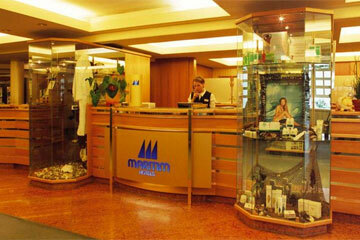 The hotel is located j500 m away from the main railway station, 10 km away from the airport.